The righteous man is not like a tombstone but like a tree. A tombstone is permanent, but it is dead permanence. A tree has living permanence, it is planted, not merely put, by the rivers of water. Our faith, too, must be like seed, not sand, for living permanence endures because it perpetuates itself. A stone remains a stone. 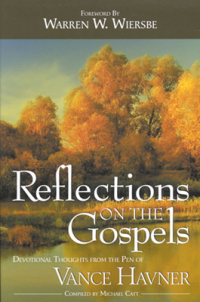 The Gospel reproduces itself from life to life. Christ lives from generation, not only in heaven but in the hearts of His people.